When monthly mingle was announced this month. I thought I must participate no matter what. Somehow I always miss this wonderful event. This time it was all about custards.. I wanted to make atleast 2 or 3 recipes but ended up with just this one becoz of heavy schedule! 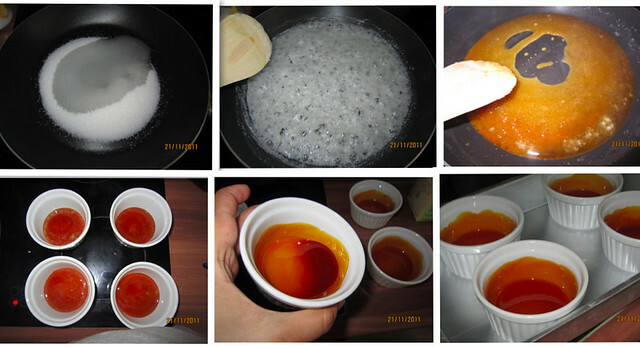 In a small sauce pan, prepare caramel. Add sugar and water and heat on medium. When sugar starts melting, keep stirring with a wooden spoon, and break any lumps which form. It turns from light amber color to deep brown. 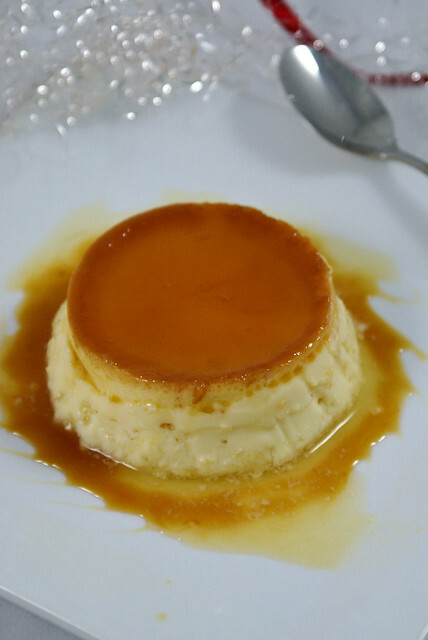 Turn off heat, and pour the caramel into the ramekins, in equal portions. Place the ramekins in a deep baking dish and keep aside. In a bowl whisk eggs and vanilla extract with a hand beater. In a sauce pan, mix milk and cream. Add sugar and mix to dissolve sugar and till milk is warm to touch. Do not boil. Now temper the eggs with just a litte amount of warm milk, about half cup, whisking continuously as you add the milk. Add the remaining warm milk slowly, continuously whisking. 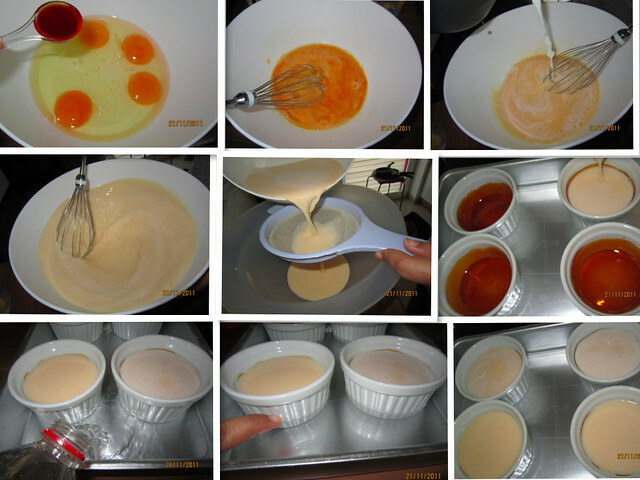 Pass this mixture through a sieve to remove any undissolved egg. Cool this mixture completely, till it is cold to touch. Now pour this mixture into the ramkins. Pour hot water into the baking dish, about half way up to the ramkins. Cover the dish with an aluminium foil. Remove the baking dish, carefully remove the foil. Remove the ramekins from the water, and let them cool. Once cool, put them in the fridge for few hours to chill. 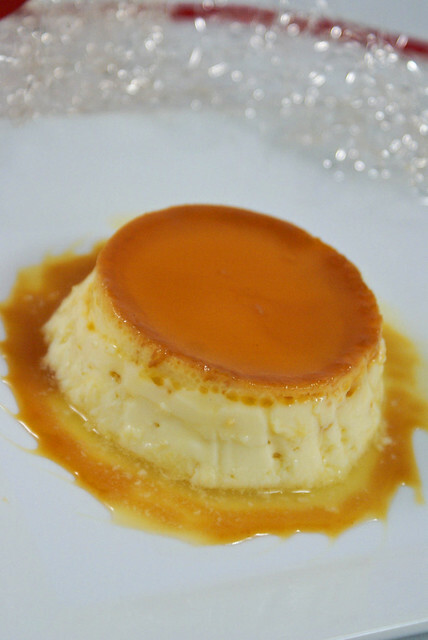 When ready to serve, run a sharp knife around the flan to loosen, and invert into a plate. Serve with extra caramel if you prefer. You can dissolve the caramel in microwave if it turns solid. For washing the ramkins soak in water for about 3 or 4 hours or alternatively microwave with little water to dissolve the caramel. Always cook custards in a water bath. A water bath shields the custard from harsh, direct oven heat and moderates the cooking. To test for doneness, wiggle a ramekin around. It should jiggle like Jell-O. 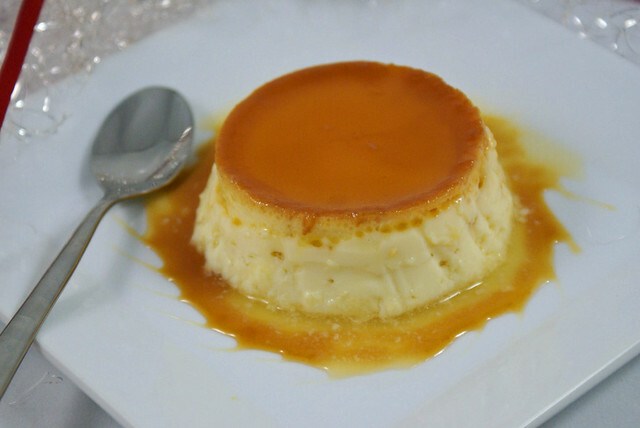 If a knife inserted in the center comes out clean, then the custard is probably overcooked. If this happens, remove the ramekins immediately from the water bath and plunge them into ice water to bring the temperature down and stop the cooking. If you do not have an oven, put the ramekins or moulds in a cooker vessel, and pour hot water half way, and cook on medium low, with out whistle for approximately 30 mins. Sending this to Monthly Mingle being hosted by Sally of My Custard Pie. 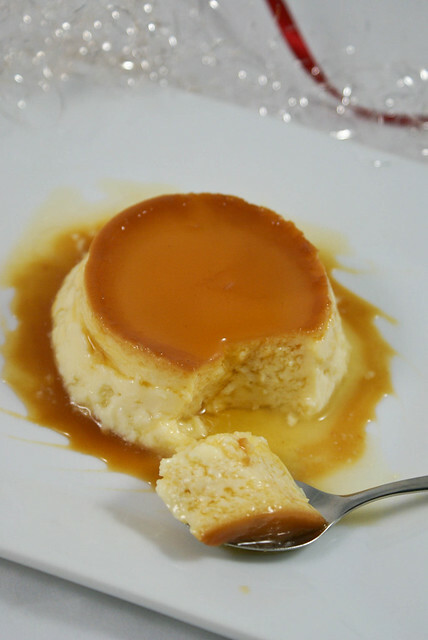 I love caramel pudding and this looks so silky delicious. It is ages ago i made them and now you are tempting me to make them.